Summer is winding down. Welcome the beginning of a crisp fall with this Apple and Mint Punch recipe. We adapted this recipe for the Capresso Iced Tea Maker from Giada De Laurentiis. 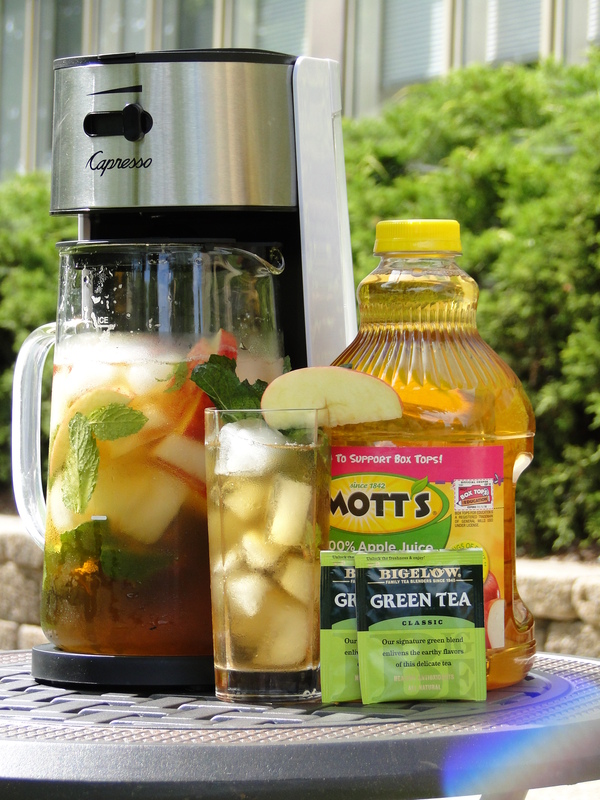 Using your Capresso Iced Tea Maker add sliced apples and mint to the pitcher, plus sweetener if desired. Fill the pitcher with ice to the ice level marking and place pitcher with lid onto the machine. Place tea bags into the brew basket and close lid. Turn on machine and let brew. After brewing add mint, lemon juice, sparkling water and apple juice to the pitcher. Pour into ice-filled glasses and garnish with fresh mint and apples, Enjoy! For more recipes, and to find out more about Capresso products, visit Capresso.com.